In this beautifully written work, Marjorie Becker reconstructs the cultural encounters which led to Mexico's post-revolutionary government. She sets aside the mythology surrounding president Lazaro Cardenas to reveal his dilemma: until he and his followers understood peasant culture, they could not govern. This dilemma is vividly illustrated in Michoacan. There, peasants were passionately engaged in a Catholic culture focusing on the Virgin Mary. 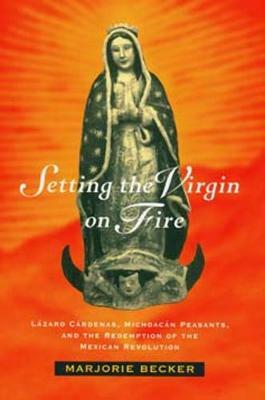 The Cardenistas, inspired by revolutionary ideas of equality and modernity, were oblivious to the peasants' spirituality and determined to transform them. A series of dramatic conflicts forced Cardenas to develop a government that embodied some of the peasants' complex culture. Becker brilliantly combines concerns with culture and power and a deep historical empathy to bring to life the men and women of her story. She shows how Mexico's government today owes much of its subtlety to the peasants of Michoacan.